It only takes a second for a guest to become injured while visiting your home. In today's litigious society if a guest trips on their own feet while on your property you can be sued and lose your home, savings and anything else you may have. You must protect yourself. Understand that nothing is assured when it comes to lawsuits. The best you can do is take precautions to protect yourself and then hope for the best. Incorporating your business and obtaining a sufficient liability insurance policy will go a long way to helping you should you be sued. Incorporate your business as a Limited Liability Corporation or similar entity depending on your state or country. Incorporating affords some liability protections beyond having nothing at all. Remember, however, a good attorney can get around the protections of an LLC if you have a potential hazard on your property whether it is known by you or not. 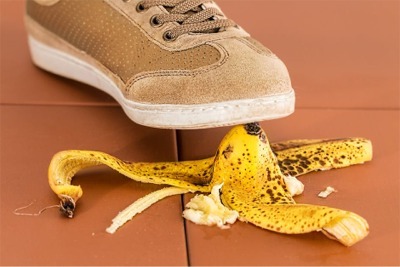 Hazards such as pools, dimly lit steps or walkways, rough ground, pets or playground equipment are just a few things that can create a personal liability situation despite incorporation because they are items that you should have been aware of and mitigated. Open a checking account in the name of your corporate entity to further remove your personal liability and prove that you are operating as a business. Money from listing websites and rentals should be paid directly into this account and all bills relating specifically to the rental should be paid out of it. Never use your personal account to pay the entity's bills and never use the entity's checking account to pay your personal bills. Combining income or using the accounts for personal use is collusion and negates the protections offered by incorporating. If there is not enough money in the business account to pay a bill then loan the entity money by putting cash into the checking account and pay the bill, but do not pay the bill out of your personal account. On the reverse, don't use the business account to pay your bills or buy things for you either. You can (and should) pay yourself a salary and those salary payments should be reflected on your taxes. Speaking of taxes, United States tax law permits many tax deductions for operating expenses. We are neither accountants nor tax lawyers so please consult with each before making tax decisions based on this article. Basically almost anything you use for your business can be deducted from your taxes. This includes the actual space. If you are renting a room in your home you can deduct the square footage and an equal amount of your electric, water and possibly other bills as it relates to the percentage of square footage. Items such as toilet paper, toiletries, linens, towels and food that are used specific by the guests can also be deducted. You are not supposed to deduct for items you use yourself, though. For instance, you can deduct the cost of a new mattress purchased for your guests as a business expense. But you cannot deduct the cost of the mattress if you purchase a new mattress, put it in your bedroom and give the guests your old one. You also cannot deduct the cost of food you keep on hand and then eat it yourself. Keep your business and your personal life separate! Your accountant should file business tax forms in addition to your personal taxes each year. As said before, your liability protection as an incorporated entity is fully maximized by proving that there is no collusion between yourself and the business. Homeowners and normal landlord insurance typically does not cover short term rental property even if the home is 100% a rental. The insurance policy must specify short term rental. Some insurance companies offer additional policies that add this to your insurance while in some parts of the country or world you may have to buy a specific insurance to cover you. Be careful when asking your insurance company about coverage, though. Some people have reported having their policies cancelled just for making an inquiry. If a homeowner's or landlord insurance company discovers that you are short term renting your property they have the option of immediately cancelling the policy or denying any and all claims even if the claim is not related to a renter. An example of this is when an insurance company reviews storm damage, discovers the rental use and then refuses to pay for damage. You CANNOT rely on the insurance provided by the listing websites to cover you. Most of the sites that offer liability or property insurance self-decide which claims they will pass on to the insurance company. Therefore, the listing website can decline your claim and it is never even submitted to their insurance carrier. You are dealing completely through a third party in this situation which can make it expensive or even impossible to get reimbursement for damages or liability claims. Protecting yourself, your family and your assets is extremely important in today's legal climate. It seems like everyone is out to make some free money and many millennials believe that the world owes them anyway. Combine these two realms of thought and some guests will be more than happy to make that quick buck off of you. Protect yourself and you have much less to worry about should an unfortunate lawsuit come your way.